In Boxing, MC Mary Kom entered the final of the Women's World Championships in New Delhi today. In semifinal, she defeated Kim Hyang Mi of North Korea in 48 kilogram category. 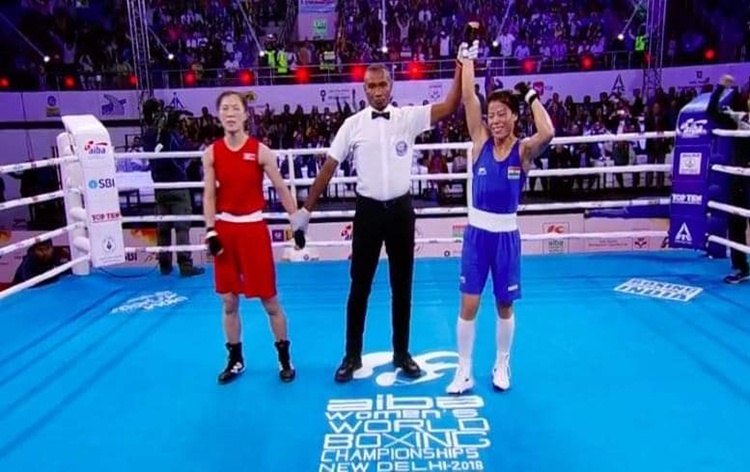 The 35-year-old Manipur boxer is currently tied with Katie Taylor on five gold medals and one more will make her the most successful woman in World Championships history since the Irish pugilist has turned Professional. In the 69 kilogram category, 21-year old Lovlina will meet Chen Nien-chin of Chinese Taipei this evening. Lovlina is among the three Indian boxers who have assured their maiden World Championships medals. The other two - Sonia Chahal and Simranjit Kaur - will play their last-4 bouts tomorrow.